Using the "Alert Forwarding" feature, you can give any user an option to forward alertsfrom squadcast and select a replacement user who will receive the notifications on his/her behalf. It's just like your e-mail out-of-office autoreply and autoforwarding. On the Sidebar click on Users. On the Users page turn on "Alert Forwarding" for the user whom you want to enable Alert forwarding. Enter the details of the Alert forwarding period and selecting the replacing user (Forward to) and click on "Save". That's it! The selected user will now receive the alerts instead of the original user. 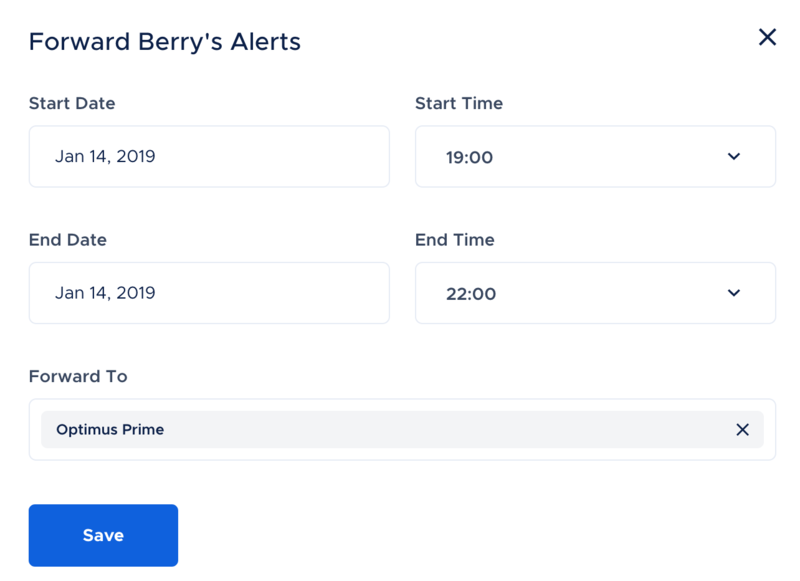 The Alert forwarding will turn off automatically after the selected period or you can turn it off manually anytime from the users tab.